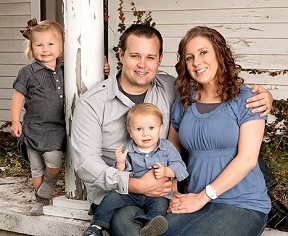 Daily Commentary – Tuesday, September 1, 2015 – Since the Ashley Madison Scandal, Did You Wonder If Josh Duggar’s Wife Anna Would Stand By Her Man? Following the release of members data by hackers from the affair orientated web site, Ashley Madison, former reality TV star Josh Duggar admitted today that he had subscribed to the website and cheated on his wife. Really, you scumbag? If it wasn’t bad enough that Josh Duggar skated on molesting his sisters when he was a teen and was never punished for it, now we find out the one time executive director of the Family Research Council, who stepped down in disgrace, was a paying member on the adulterous website Ashley Madison and cheated on his lovely wife. This goes beyond hypocrite, YOU ARE A POS SCUMBAG!!! “While espousing faith and family values, I have been unfaithful to my wife,” Duggar, 27, a former campaigner for family values who appeared on the TLC show “19 Kids and Counting,” said in a statement posted on his family’s website. 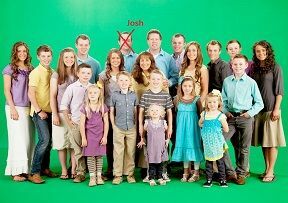 The Discovery Communications-owned network last month cancelled “19 Kids,” after disclosures in May that Duggar had sexually abused four of his sisters when he was a teenager, one of whom was under 10 years old at the time. Duggar apologised in a statement, saying he “acted inexcusably,” and resigned from his job at Christian lobbying group Family Research Council. Josh Duggar Spent $1000 on Ashley Madison Site? People can ask for forgiveness and can be forgiven, however, there has to be remorse, true remorse, not the kind that one gets just because they are caught red handed with their hands in the cookie jar.